HOW TWO NON-PADDLER PARENTS AND THE BOATING COMMUNITY GAVE THE GIFT OF WHITEWATER. Maya-ray Cross, simply Mayo to her many friends and supporters, is a Dirt Bag Paddlers Admin and proud member of the DBP 2016 ALL-WALLACE TEAM. 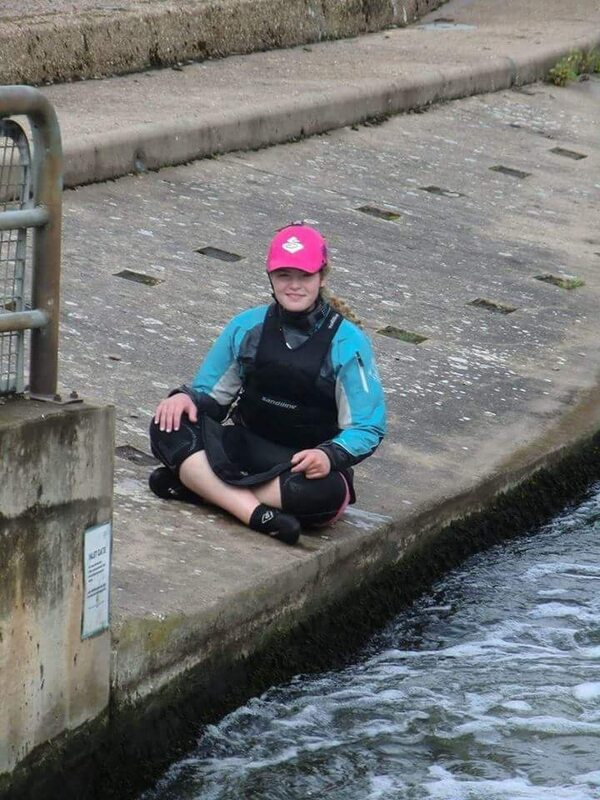 She’s also a gifted and incredibly dedicated kayaker who has earned her talents through her own determination to overcome her disabilities, with the amazing support of her extraordinary family. I have paddled for many years now, nine in fact. From the young age of seven, from the first time I sat down in a boat, I never looked back! Over the years I have managed to achieve many awards along with competing in freestyle kayaking around the UK. None of this would have been possible without the support and help of my parents. From the very start they would drive me to paddle. They have taken me all the way around the country, but the crazy thing is they don’t even paddle themselves. My parents have supported me since day one in my paddling career. I have many disabilities which makes paddling more difficult, and for that reason my Mum and Dad always stay with me. My parents take me to Nottingham nearly every weekend; they don’t have to, but they do! Nottingham is 100 miles away from our home, but they take me because they both know it’s somewhere that I love to paddle and practise my freestyle. My parents have stood with me every step of the way along with my grandparents. My grandma and granddad when well enough come to watch me paddle and compete. My family is very supportive, but sometimes they think I can be a little crazy with some of the rivers I kayak and some of the things I try to do in my freestyle. Most of our friends are kayakers, simply because that is all that I do in my spare time; therefore, these are the people we spend the most time with. My parents don’t work; my dad is disabled himself and my mum is our primary care giver. The main thing which keeps me strong when I am on the water is my family cheering me along with my friends. Kayaking isn’t just a sport or a hobby for me. 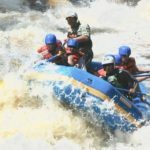 I feel when you really love kayaking or anything to do with water, it then becomes your environment and the people who also participate become family, and I have the best family ever!!! 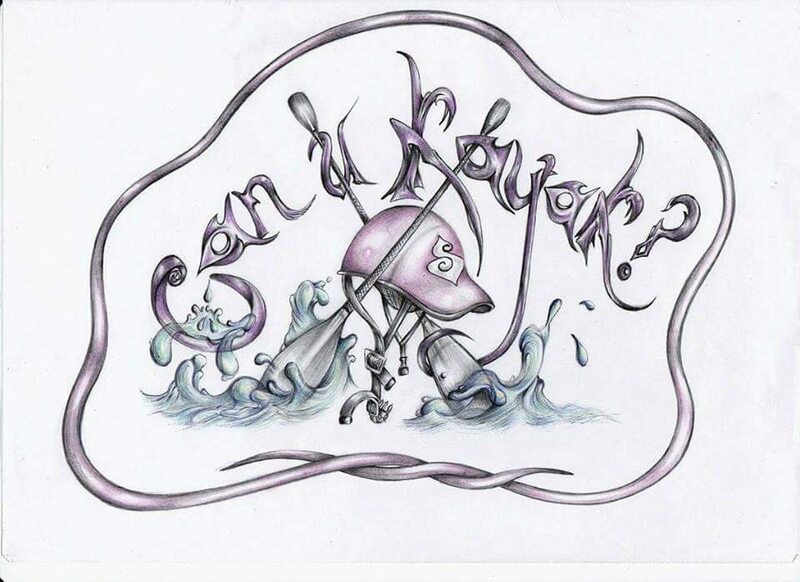 Over the past year I have started a blog on Facebook called Can U Kayak? This has helped me share my story of paddling with disabilities, and the struggles my family and I have to go through every time I dislocate a joint when I’m out there on the water. The support I get from people across the world who follow my blog is brilliant! I’ve been a part of the kayaking community for a few years now, and I have met some amazing female paddlers, but there’s just one problem. There isn’t many of us around! Those which I’ve met are brave, confident and strong women in such a tough sport. Every time I’ve met one of these brilliant women they have always given me more confidence to carry on and they also taught me a thing or two. 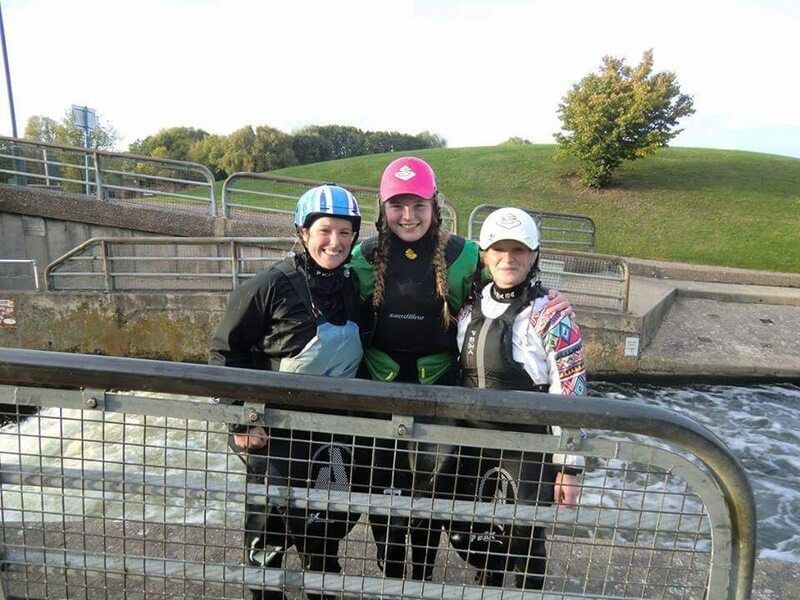 When I was working towards my 3 star Open Canoe award I had the pleasure and good fortune to paddle with two amazing female open canoeists, Sally-Ann Baker and Jillian Smith Thank you ladies for your patience! I know I will never be able to do what you do in one of those long things but I wouldn’t have gotten my 3 star without you two. I’ve met world champions and some of our Great Britian team paddlers, and everyone of them are lovely and very helpful. Over the past 3 years I’ve met Lowri Davis who is now a good friend and mentor, well she can’t really get rid of me! Claire O’hara who I met at Nottingham a few months ago is brilliant! She invited me to join her in the inlet and worked with me on getting air on my loop. I have also met the wonderful Islay Crosby who has helped me a lot when I’ve been at Nottingham! Your support got me in the bloody Muncher. Then you have the girls who I met at Young Guns and Nottingham, Ottilie Robinson-Shaw, Heidi Walsh, Sophie McPeak, Charlee Aldred, Abi Goddard and Gabbi Bates. These girls are fantastic, pulling new moves with huge air! I’m so happy to know these great paddlers, these girls prove that anything is possible when you put your mind to it! Last Christmas my mum started speaking to the one and only Emily Jackson!! How cools that?!! 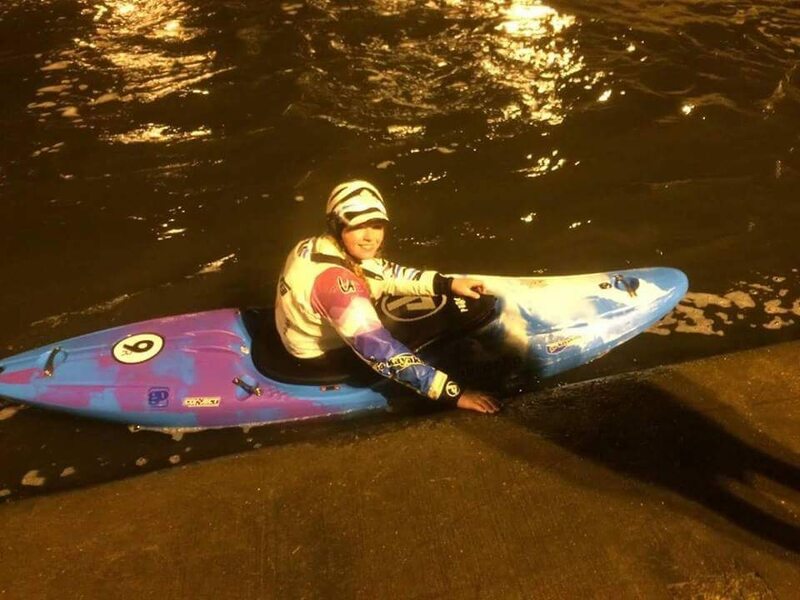 Emily Jackson has achieved many wins over the years in freestyle kayaking and other disciplines and it was great to have the chance to email her. 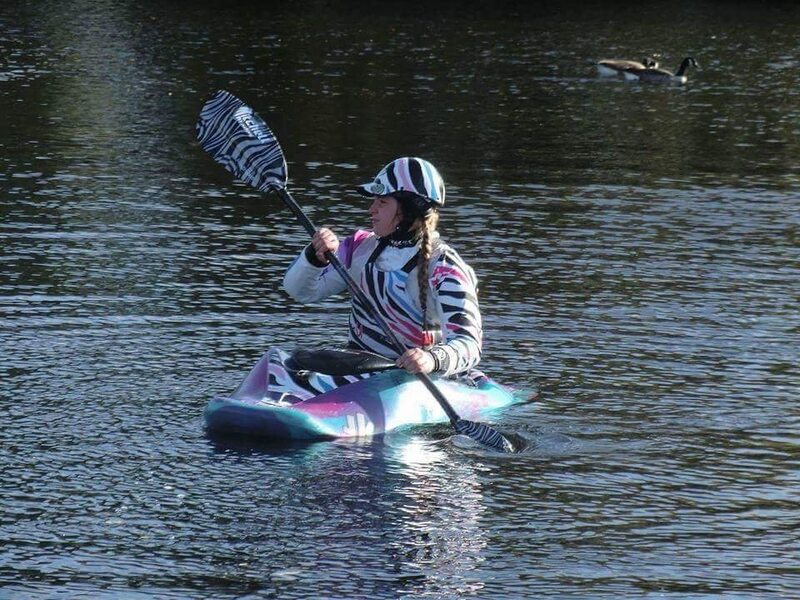 She is a brilliant kayaker, with many skills! Emily has also helped me along the way with some encouraging words and I really hope to meet her one day!!! When I’m competing I have Lowri there to back me up which always makes things easier. No matter whether the girls beat me or I beat them we always congratulate each other. 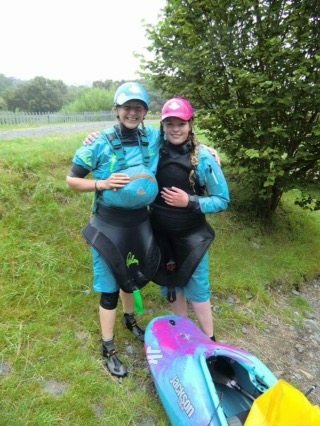 Kayaking is a lovely community that needs more female paddlers! Many of these inspiring women have and still are on their countries teams, We are all strong women with talent and we are brilliant paddlers!!! Any girl can do paddle sports whether it’s freestyle paddling or even flat water boating. It’s great fun!!! I see most of the girls up and down the country at all the competitions. During this year’s Hurley Classic it was really cool to catch up with Palm Equipment to chat about freestyle and the challenges of paddling with Ehlers-Danlos Syndrome. I have Ehlers-Danlos Syndrome, the mascot for which is a Zebra. 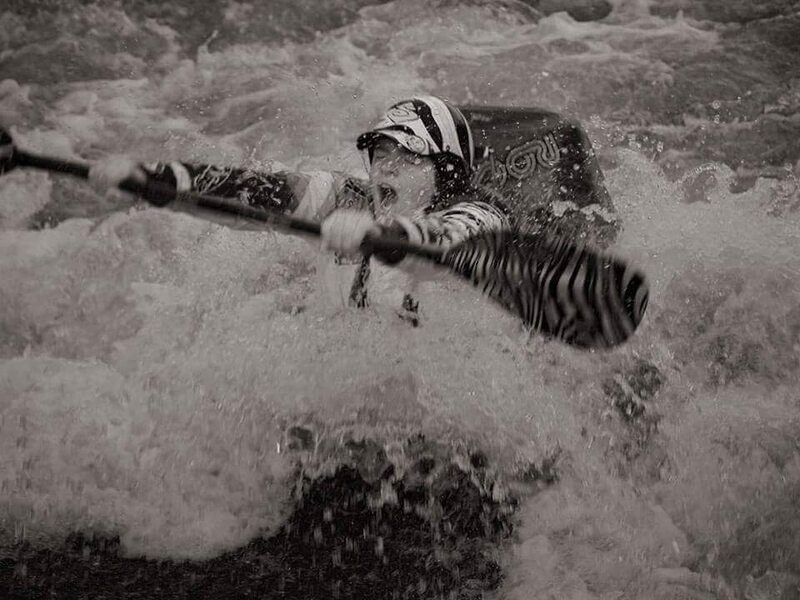 So to raise awareness Go Kayaking North West helped me with a Peak UK custom cag deck & BA designed for me, as well as Mitchell Blades Zebra Print paddles. My family and I are all shocked at how much of an impact kayaking has on our lives. I did get home schooled for 3 years which helped my kayaking and disabilities a great deal! We have decided the best friends and family you will ever have are kayakers!! !